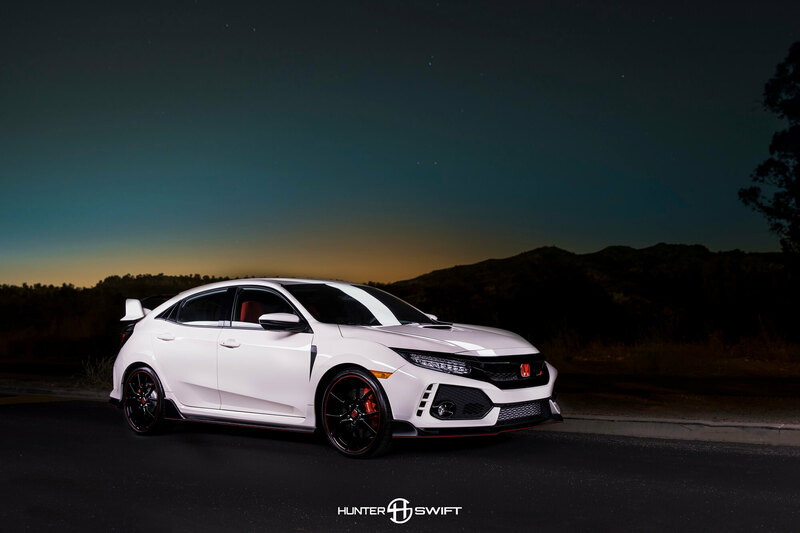 For those outside of the US -Type R’s are nothing new – Honda’s been making lightweight, race-ready Type R versions of its cars for about 25 years now. Those cars have shown up in Japan, Europe, and… basically everywhere but the States. Finally, that’s changing. For the 10th-generation Civic, Honda decided to throw a Type R at America to see if it sticks. With deliveries starting to take place across the US Cars247 Photographer Hunter Swift already has one all to himself in California. 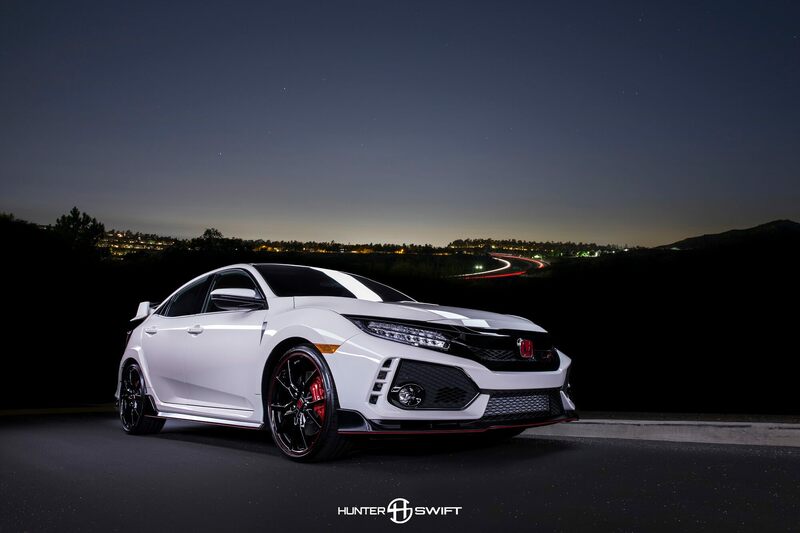 Visually, the new Type R retains its trademark extrovert styling, but Honda claims the new model has a ‘more comprehensive aerodynamic package’ than its predecessor. In a bid to help broaden the appeal of the Type R, Honda has also fitted the new model with a range of driving modes for the first time. ‘Comfort’, ‘Sport’ and track-focused ‘R+’ modes alter the steering, throttle, damper and gearshift response. But put it in R+ and forget about it, please. It’s also got 3 exhausts for ‘improved flow rate’ – and FYI more exhausts is just better, fact. If you think – well that’s just one man’s opinion. 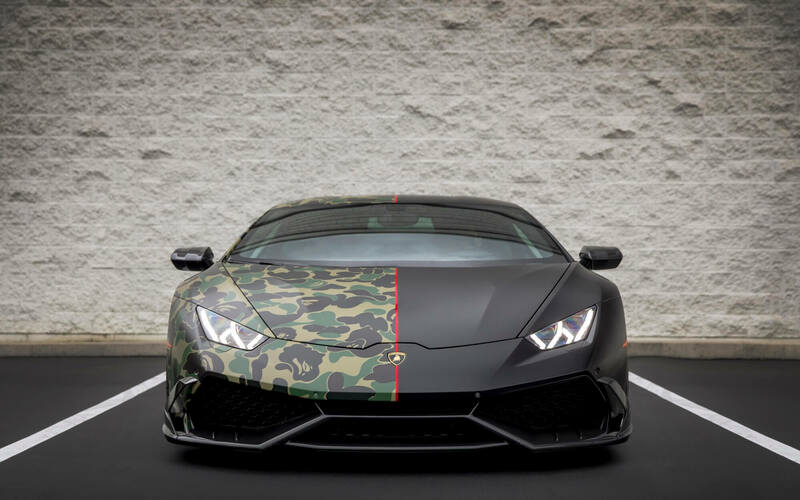 Remember this – wst_bank owns this Boden Autohaus built Mansory Lamborghini Huracan. Which makes him more qualified than just about anybody. Initial demand, especially in the States has been strong for this car. Honda dealerships hiking prices due to the strong demand have been spotted. 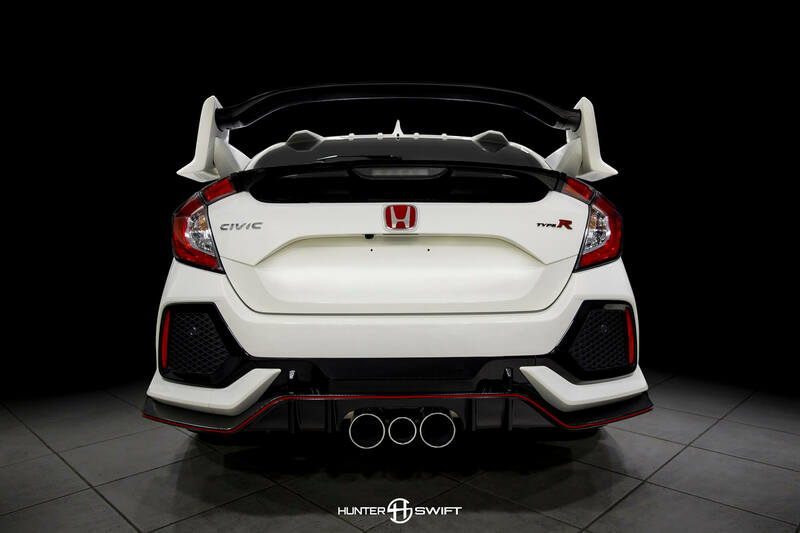 The styling of Civic Type R’s often makes them a love or hate type of car. 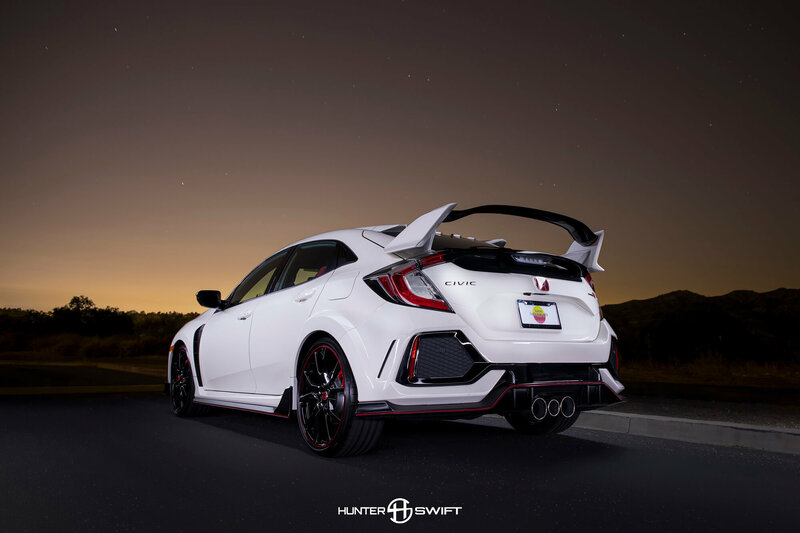 In the case of the 2017 Civic Type R, there certainly seems to be more love than hate. 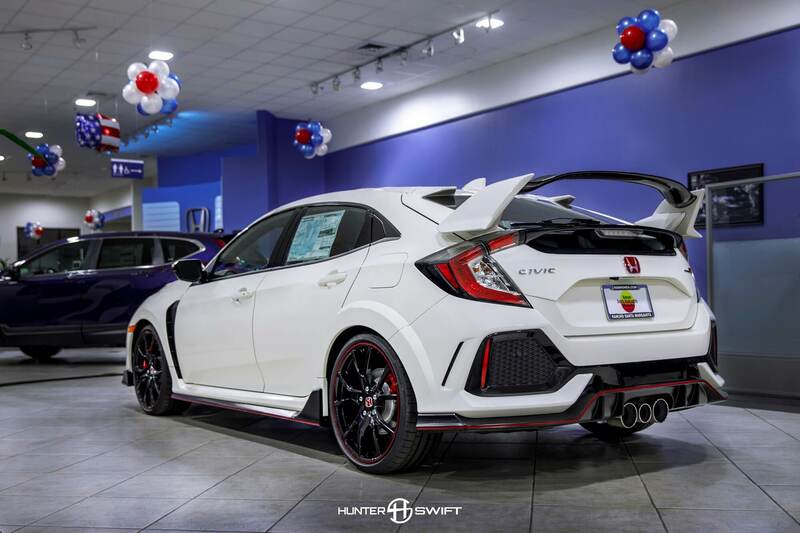 Priced at $35k and with a limited run (it is understood only one per dealership – roughly 2000 although Honda has been quiet on this) it should hold its value. In fact, chassis #1 was auctioned off for $200,000. How much attention does it get? Here is THE record setting lap. 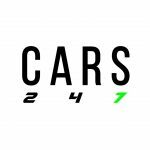 Completed in 7:43.8s, meaning it re-takes its crown from the Volkswagen Golf GTI Clubsport S by just over three seconds. How did the new Type R improve its time so much over the old model and other FWD cars? Honda says it’s mainly due to improved stability. Lead chassis engineer Ryuichi Kijima said: “The cornering speed achieved in the new Type R is higher because the car features a wider track and tyres, a longer wheelbase, new multi-link suspension in the rear and improved aerodynamics that improve stability.” FYI – only changes from ‘standard’ – floating roll cage – no rear seats – road legal ‘ track focused’ Michelin’s.